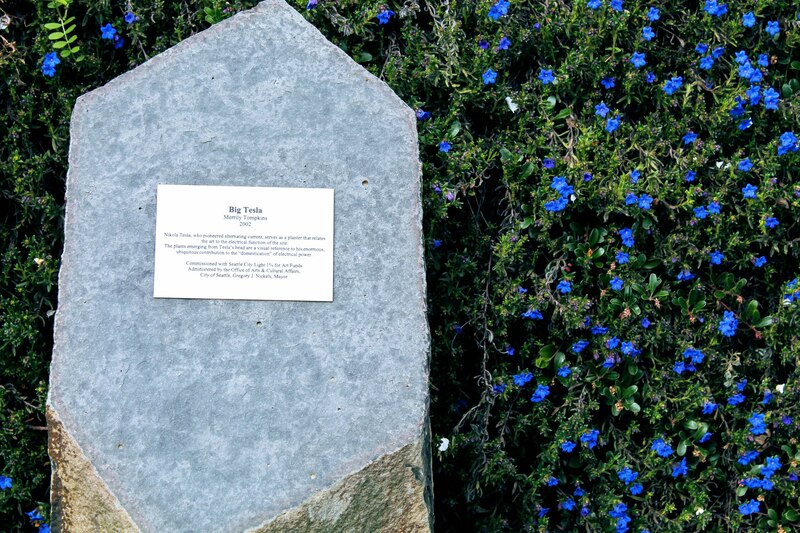 Right to the northwest of Licton Springs park at the Seattle City Light North Service Center lies a beautiful art piece by Merrily Tompkins. 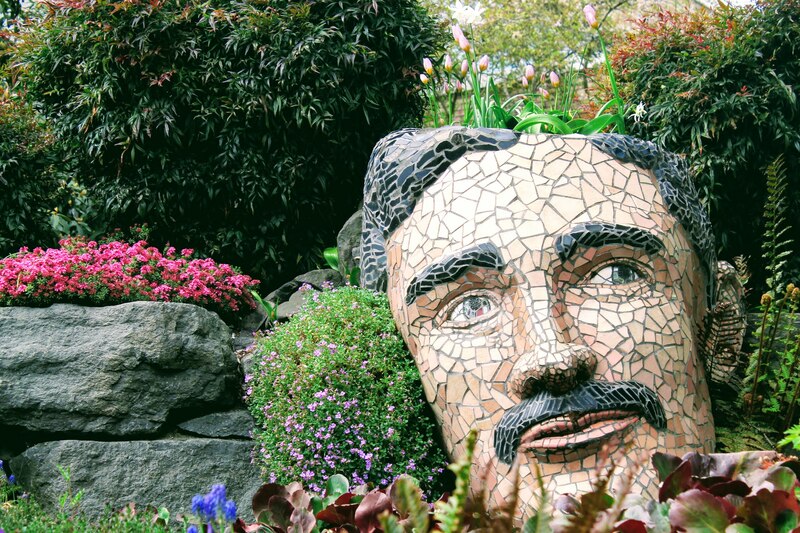 The art not only serves as a sign of nicer weather, as flowers bloom from Tesla's head but also serves as a great reminder that technology and nature can coexist in harmony. In a way, it's the perfect Seattle art piece, a city nestled in some of the most profoundly beautiful natural environments while leading the way in our technological future. Next time you walk from Licton Springs Park to the Oak Tree Plaza, take some time to enjoy this unique and creative piece of art.